Hours after a former New England Patriot committed suicide, the team is headed to the White House to celebrate their Super Bowl victory. WASHINGTON, D.C. -- The Super Bowl-champion New England Patriots are visiting the White House to accept congratulations from President Donald Trump for another NFL title. Trump's welcome to the team later Wednesday is coming hours after the news from Massachusetts prisons officials that ex-Patriot tight end Aaron Hernandez hanged himself in his prison cell. 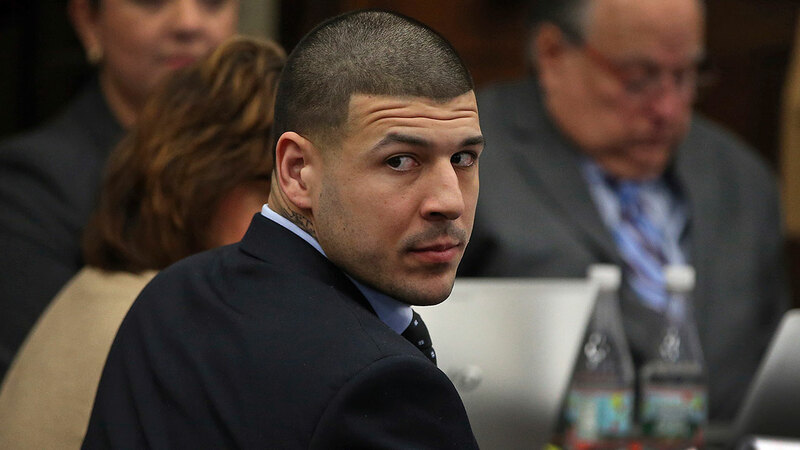 Hernandez - who played for the Patriots from 2010 to 2012 - was serving a life sentence for a murder conviction. Days ago, the 27-year-old former player was acquitted of a double murder. Embattled former New England Patriots player Aaron Hernandez was found hanged in his cell early Wednesday, authorities confirm. A team spokesman says the Patriots are aware of the reports of Hernandez's death but the club isn't expected to comment. The White House said it was notified that quarterback Tom Brady was dealing with a "personal family matter" and will not attend the ceremony. Team owner Bob Kraft is a longtime Trump friend. Some Patriots players intend to skip the White House visit because they oppose Trump's presidency.